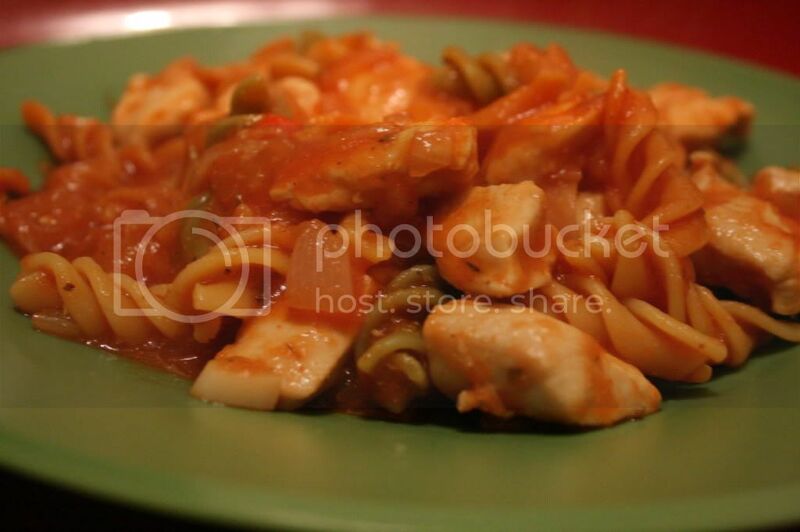 Veggie Pasta with Chicken Chunks - Kosher In The Kitch! Veggie Pasta with Chicken Chunks - Kosher In The Kitch! Fry up the onion and garlic. Once golden, add the diced peppers. Once those are tender add the chicken pieces. Cook until no longer pink. Add the tomato sauce, spices and sugar. (I never measure the spices, I season to taste adding if I feel necessary.) Combine and cook through. Serve with the prepared vegetable pasta. I made this like two weeks ago and it was heavenly. When I wanted to make it again today I had a hard time finding it because it is filed uner uncategorized. Why don’t you put it under chicken, or even pasta? Hi, I uploaded that recipe real fast and in my haste forgot to properly categorize it! I just took care of it. Thanks for the reminder and I am glad you like it. I use about 1 – 2 tablespoons. I don’t measure it I just sprinkle it in and taste.